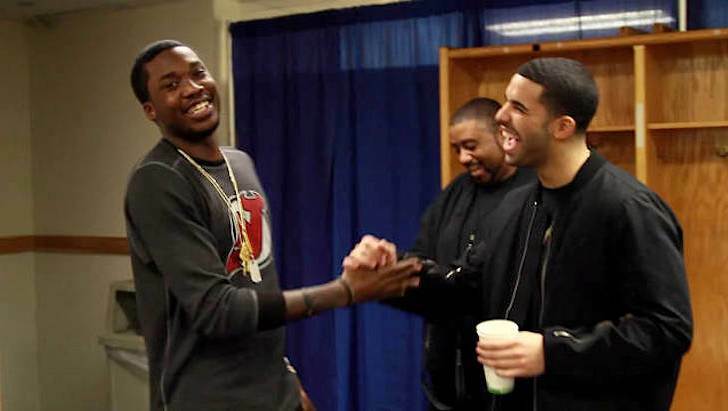 The back story behind the Drake & Meek Mill beef. First off, I think for people to thoroughly understand the situation they should understand, first, what a “Ghost writer” is and what a “Collaborator” is. A ghost writer is someone (usually underground) who writes a song for someone (usually mainstream or well known) and the artist performs/records the lyrics word for word. The ghost writer is not credited but simply paid because it is to appear that the bigger artist created the lyrics themselves. A Collaborator is someone whom is respected and is hired to bounce ideas to create content. That person is either paid or credited in the final production. 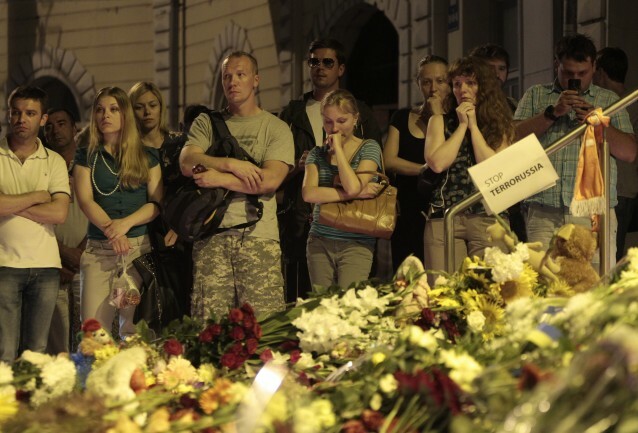 Thus, it helps the underground artist receive notoriety by being credited in a mainstream artist’s work. Being a signed artist I know what it’s like to collaborate and how important it can be for other artist. I was the “Southern rapper” within the record label so I was amongst artist who could help me break into new sounds and I could also help them create new styles. We gain each others fans. It’s respect of artistry and a great marketing/advertising tool. 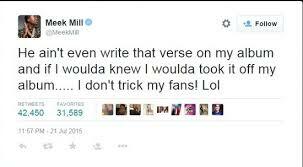 Inside of the tweets he states that he knows Drake didn’t write his own verses. So, what song was he talking about? Meek was talking about the verse that Drake sent him for their collaboration “R.I.C.O.”. There were more tracks exposed but we will get to that later. 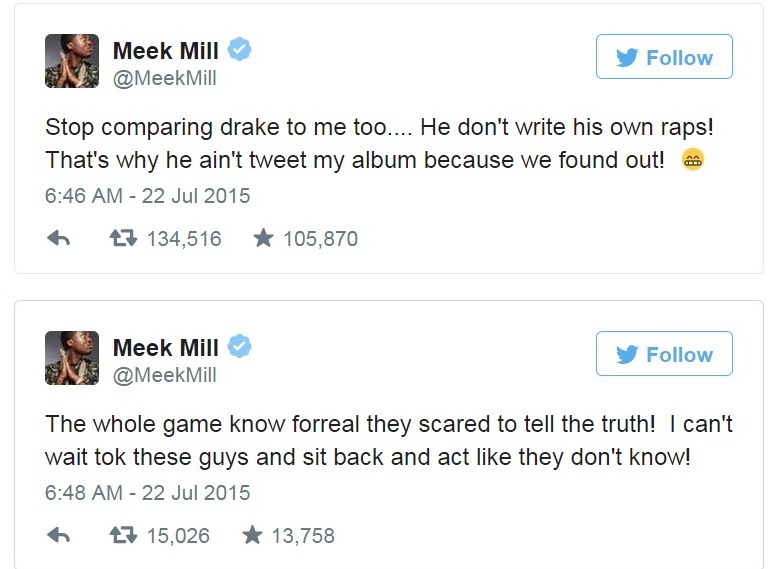 So now the question is how did Meek find out that Drake didn’t write the verses? “If You’re Reading This It’s Too Late” was actually supposed to be a mixtape produced and hosted by DJ Drama. The project was scrapped at the last minute and Drake ended up making the tracks an album. Its rumored that Drake turned the project into an album to end his contract with Cash Money (seeing that he only had one more album left in his contract) which was rumored when the Lil Wayne and Birman/Cash Money beef was at it’s peek. Here are the leaked tracks below. 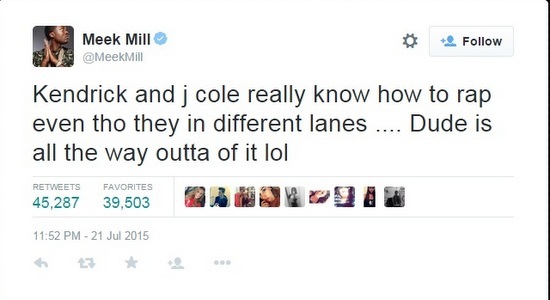 By this time the diss tracks between Drake and Meek Mill were already in full effect. 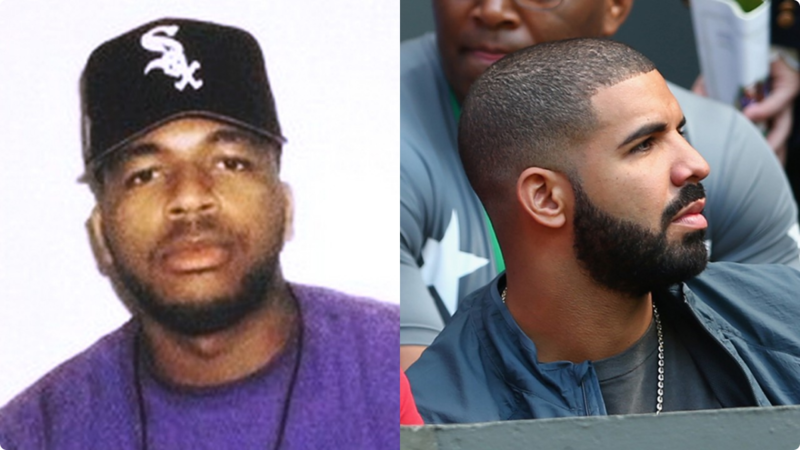 Drake ended up dropping 2 diss songs before Meek Mill dropped his first one. The general consensus says the Drake won the battle by a land slide, even though the fans didn’t really feel that Drakes first song was strong enough. Tell us what you think about the tracks below. 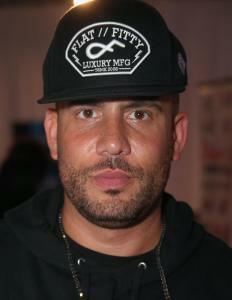 He also has written and co-written R&B songs for major artist. One of his most popular song’s written was Alicia Key’s “Unthinkable” which is rumored to be written towards Nicki Minaj. Me personally, I feel like the reason why this stab at Drake doesn’t hold weight because it is well known that Drake is very capable of writing his own lyrics. Yet, my opinion can’t out weigh the laws of Hip-Hop. With that being said, do you feel like what Drake did was robbing the culture? Or do you feel like what he did was helping an up and coming artist? There has been a lot of lashing out from Nicki Minaj when it came to this split up. 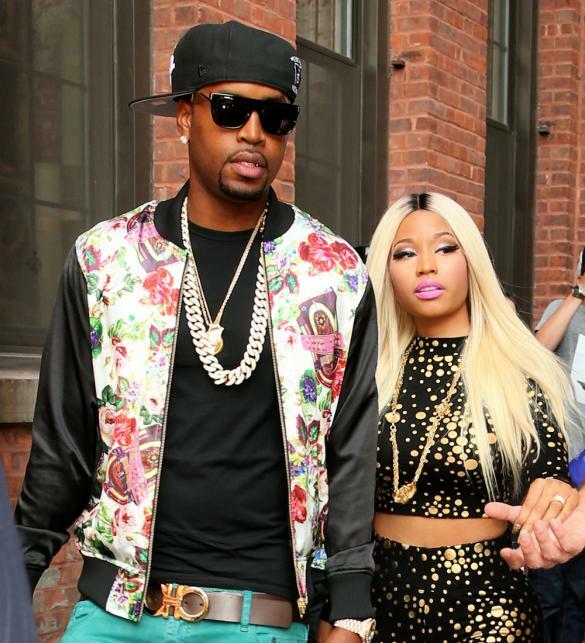 Words such as “corny” and “whack” have been used to describe former boy friend Safaree. 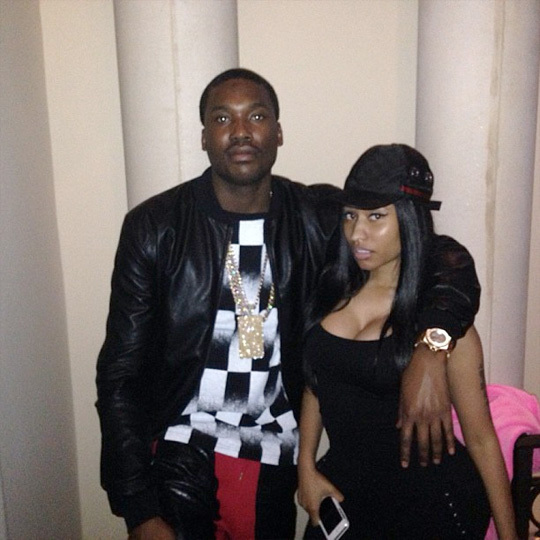 Nicki has even been rumored to be dating MMG rapper Meek Mill as they were seen in several photos together. 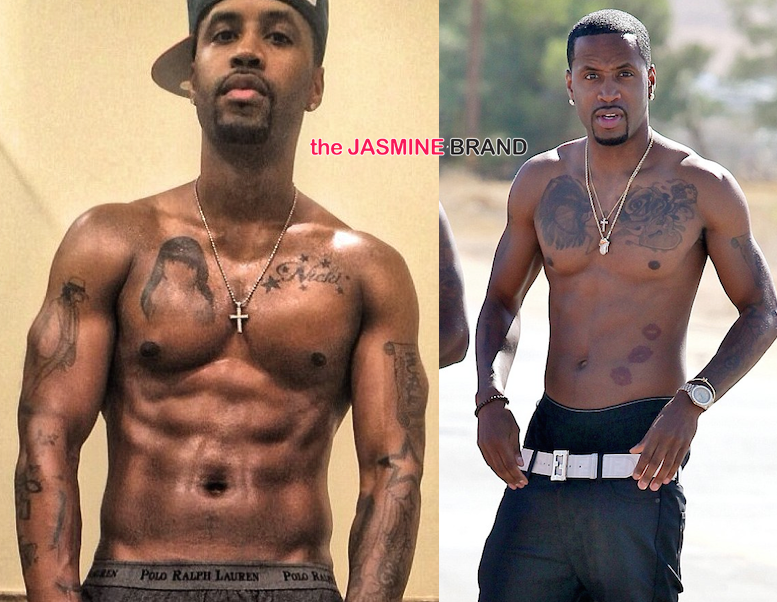 On the other hand, Safaree was pictured with his Nicki Minaj tattoes covered up with other art. But for the most part Safaree has be quiet throughout all the drama. After hearing that Nicki was trying to publically humiliate him he decided to meet with The Breakfast Club and speak his side of the story. See what he had to say below.